Forst played a major role in establishing GM's diesel engine development center. Volkswagen Group's U.S.-court appointed compliance monitor Larry Thompson has recruited former Opel development chief Rita Forst to help him oversee the automaker following its diesel-emissions cheating. In response to the emissions scandal, Thompson will be monitoring the VW Group until mid-2020. His job is to ensure that VW does not violate U.S. environmental laws again. VW consented to the monitoring to end litigation in the U.S. and to avoid a trial that, in the event of a conviction, could have proven much more expensive than the billions in penalties that VW now has to pay. Forst, an engineer, is expected to primarily deal with technical issues. So far, Thompson mainly has lawyers on his team. Forst, 62, joined Opel in 1977. 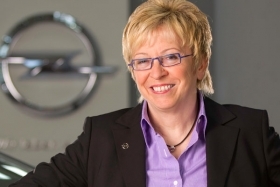 She was Opel's head of technical development and was also responsible for r&d at Opel's then-owner General Motors Europe from 2010 to 2012. Among other responsibilities, she played a major role in establishing GM's diesel engine development center. Forst was also named one of Automotive News Europe's 25 Leading Women in the European Auto Industry.